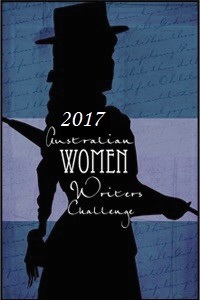 Today I have signed up to the Australian Women Writers Challenge and committed myself to reviewing at least 6 titles in 2017. I am certain I can manage that, especially since I have already read and reviewed two. I’m looking forward to seeing where this takes me! 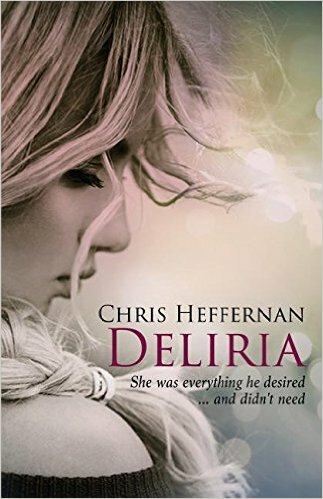 Initially, with paperback in hand, I hadn’t anticipated that I would review Deliria by Chris Heffernan. Two pages in, I was excited by the fresh, lively voice, and by the way Heffernan, through the eyes of his protagonist, depicts Adelaide with acerbic wit. The plot is very simple. William is an intelligent twenty-two year old university student who falls hopelessly for the stunningly attractive eighteen-year-old music student, Deliria. Deliria is trouble from the first. She tantalises William, lures him into her world of petty theft. She’s a femme fatale. And he’s besotted. What ensues is a series of little adventures, escalating in risk. Deliria is set against an urbane backdrop of twelfth-century French poetry, classical music and Thailand. Adelaide portrayed as the antithesis: crass, and distinctly uneventful. William’s thirst for stimulation is met in Deliria, who represents the sort of adventuress commensurate with the uncouth cultural and social fabric of Adelaide that William sees all around him. With a twisted morality and a series of perverse justifications, Deliria is perhaps an inevitable product of an age of shallow, conspicuous consumption, and its nemesis. In William, Heffernan portrays the absurdities and intensities of an young man caught up in ennui. Acutely observed, William’s narrative is a perfect balance of introspection and observation, with enough self-awareness to endear the reader. To my mind, Deliria sits comfortably alongside Phillip Roth’s Indignation. It’s a loose yet apt comparison, both books tackling the consequences of an educated young man’s dogged attachment to a single idea, or feeling. Although each author tackles his subject in a markedly different manner. Deliria can be found at Odyssey Books and at all good bookstores.